I created this small world farm for Jake after making some chocolate playdough which looked perfect for some squelchy mud! 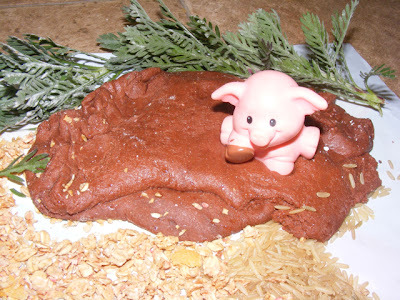 To make the mud playdough I used this recipe from The Imagination Tree. Then I went in search of other items to use for the rest of the farmland. 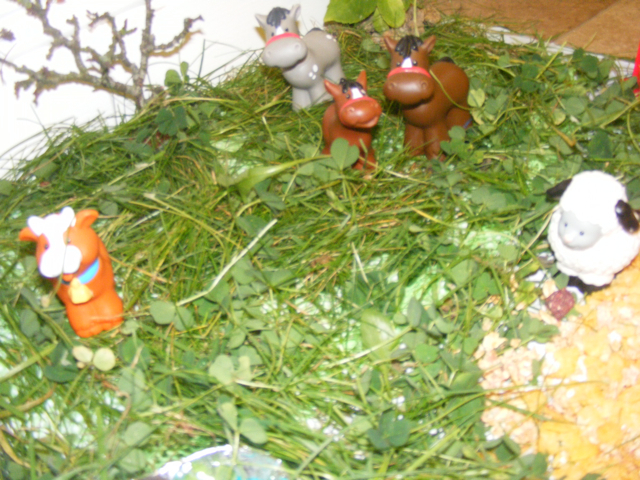 We got grass and clover for the fields, along with some twigs and leaves to use as trees (stand them up in a blob of playdough). 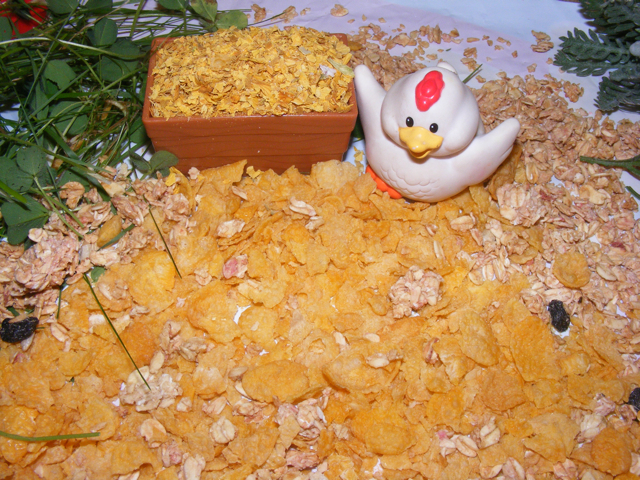 Then we used old oats, stale cornflakes and brown rice for the yard, and for the chickens to eat! 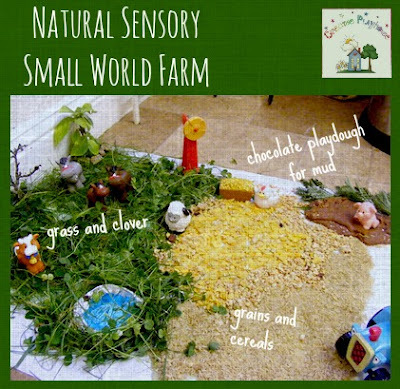 All this sensory goodness is great for scooping at pouring. And we added the animals and a few accessories from our farm playset. I also filled up a little dish with some water and blue food colouring to be a pond. 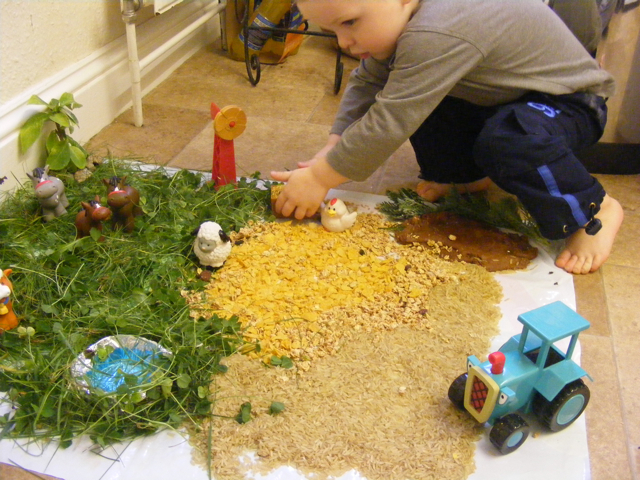 Jake loved playing with this, he immediately began scooping the grains and squashing the playdough. He loved the noise of the tractor crunching over the grains too. 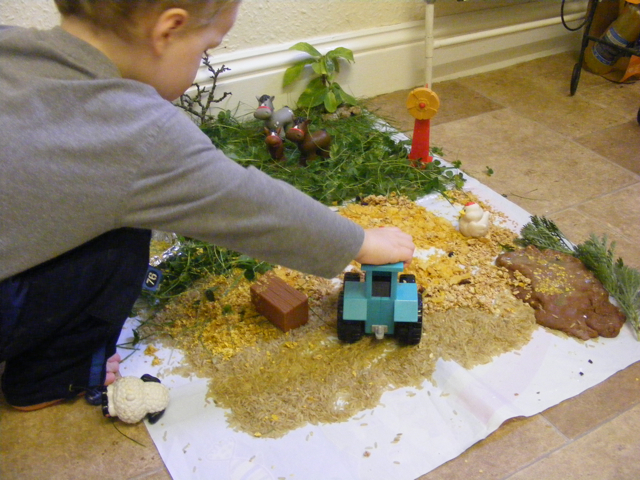 Jake played and explored the farm for a long time, and loved discovering the different areas and surfaces, and of course pouring the water over the muddy play dough and pouring the grains and rice all over the place! 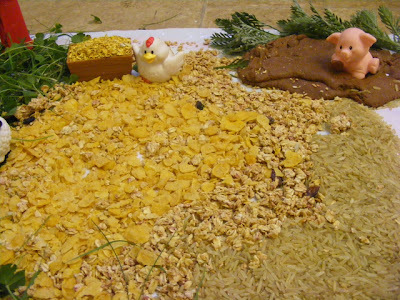 This set up had so many lovely textures; great for recognising hard and soft and using vocabulary like "crunchy", "squash", "grainy", "rough". And for older children to start to explore living spaces and habitats. A great activity! 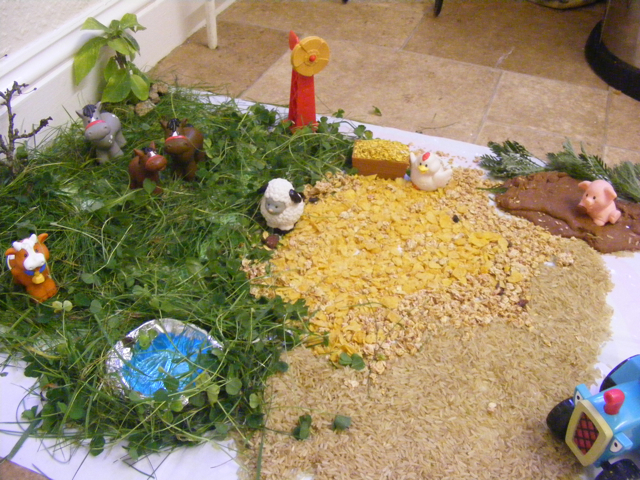 We love small world play! That is brilliant. It looks like so much fun. I love all the different textures. Thanks Ali - we love small world and sensory play - so much to explore and do! cereal - genius! that must be quite a satisfying texture too.